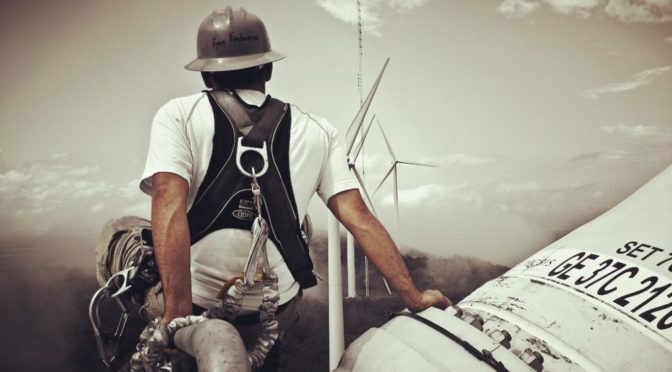 Temperatures are heating up across the country this summer, and being aware of heat-related illnesses is critical to working safely on a wind farm. According to OSHA, workers exposed to hot indoor environments or hot and humid conditions outdoors are at risk of heat-related illness, especially those doing heavy work tasks or using bulky or non-breathable protective clothing and equipment. Do start your workday hydrated. Start your hydration the night before. Do use the buddy system. Act quickly if a co-worker shows signs of illness. Don’t ignore the warning signs. Don’t think heat-related illness won’t happen to you! To help workers best understand the signs and how to prevent them, the AWEA EHS O&M Working Group has created three awareness materials: a reference card, training manual, and a heat awareness and tracking plan. These materials will help you understand all the signs of heat-related illness, how to prevent them, and what to do if you are experiencing any of the symptoms. You can access these materials here. Stay cool, stay hydrated, and stay safe. This is a guest post from Peter Lukens, Chair of the AWEA Environmental, Health, and Safety O&M Working Group. The working group develops operating guidelines, training modules, and support materials for the safe and healthful operations and maintenance of the wind industry. Peter is the Project Manager, Training, for Siemens Gamesa and has worked in wind for 11 years, holding various roles in manufacturing, quality, operations & maintenance, training, and environmental, health, and safety.